Wet Willie formed in Mobile, Alabama in 1969 when brothers Jack and Jimmy Hall teamed with drummer Lewis Ross, keyboardist John Anthony, and guitarist Ricky Hirsch to form a group originally called Fox. They relocated to Macon, Georgia in 1970 and joined forces with songwriter Frank Friedman, before signing a contract with Capricorn Records. Soon after, Fox was reborn as Wet Willie. “What the band was all about was energetic, funky, greasy, bluesy, R&B-based rock,” bassist Jack Hall explained. In its review of their self-titled debut album, Rolling Stone magazine declared that Jimmy had “a voice strut and an air of raucous elegance not unlike Jagger.” Guitarist Wick Larsen replaced Friedman before the first album was released and, after a second studio LP, performed with the group on 1973’s live album, Drippin’ Wet. It was the first of their releases to appear on national sales charts. Wet Willie’s major breakthrough came with 1974’s “Keep On Smilin’,” which reached the Top 10 on the Billboard singles chart. The accompanying album officially introduced the Williettes, the two-woman backup vocal team that included Jack and Jimmy’s sister, Donna Hall. Donna was joined, in succession, by Ella Avery, Elkie Brooks, and Leslie Hawkins, who would later work with Lynyrd Skynyrd. After five albums with Capricorn, Wet Willie relocated to Atlanta. By the time they signed with Epic Records in 1977, Jack and Jimmy Hall were the sole original members. 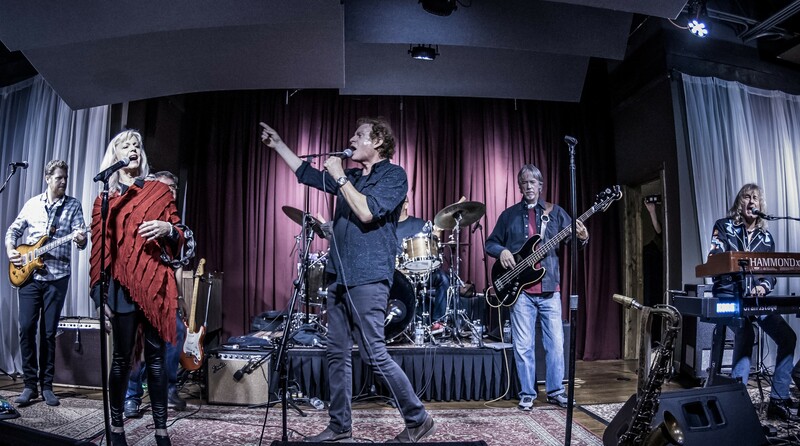 Along with keyboardist Mike Duke, who had joined the previous year, the Halls rebuilt the band with Marshall Smith, T.K. Lively, and Larry Berwald. They carried the singles “Street Corner Serenade” and “Weekend” to the Top 40, but after two albums with Epic, the band members went their separate ways. After a hiatus in the 1980s, Wet Willie regrouped, released “Miles of Smiles,” a live album on Hittin’ the Note Records, and continues to perform. I LIKE HOW THIS SOUNDS! Want to see what this is all about? Cabin types and what they cost. The Music, The Ship, The People are ALL Great! What an amazing experience. My wife and I had a GREAT time! I made 33 concerts this trip, and my wife had to miss a few. We had to miss quite a few meals to make all the concerts, but it was worth it. Also made 3 photo ops. Coming from Alaska we seldom get the chance to see a concert much less 33 in 3-1/2 days. My rating is still the same, on a scale of 1 to 10, RLC is a 100 (yes, one hundred). Thank you Pam, may you rock on for many more cruises. All proceeds from Rock Legends Cruise go to the Native American Heritage Association, a non-profit organization dedicated to fighting hunger and providing basic life necessities to families living on Reservations in South Dakota. Everthing you need to know!